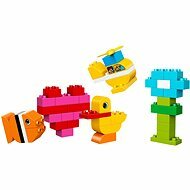 Fewer pieces and larger blocks! 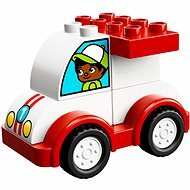 LEGO® for small children must match their level of ability and preferences, so My First DUPLO® Sets are designed for children aged from 1.5 to 5 years. 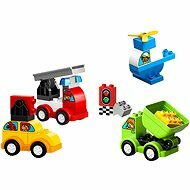 The bright and colourful blocks let children build vehicles of all shapes and sizes, buildings, farms and much more. 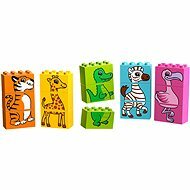 Blocks with numbers and letters help develop their math and language skills. 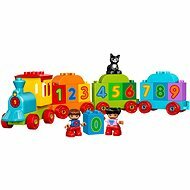 What My First DUPLO® set will you choose for your child? 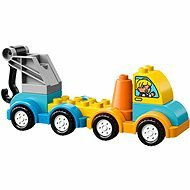 Are you looking for a toy that would entertain your child while developing his or her mental and physical skills? 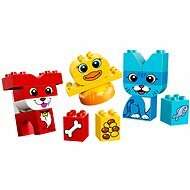 The bright and colourful LEGO DUPLO blocks are ideal for the purpose, as they are safe and fit perfectly into small and clumsy hands. 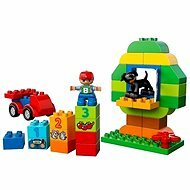 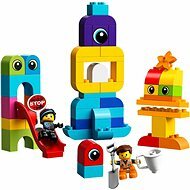 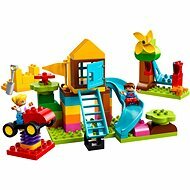 LEGO DUPLO My First Playhouse is a traditionally popular baby toy, which is easy to build and has special decorated bricks showing key parts of the daily routine – teaching the child how to wake-up in the morning, have breakfast, and brush their teeth. 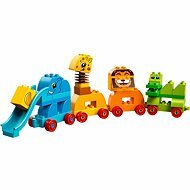 During the day they can play on the slide and then go to bed in the evening. 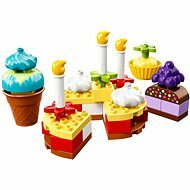 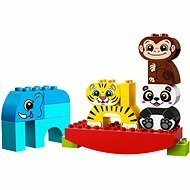 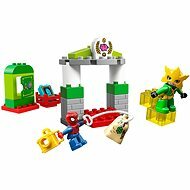 My First DUPLO sets contain figurines of children or animals, which make the games more fun and adventures more exciting.